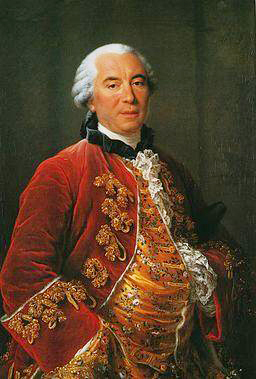 Portrait of Georges-Louis Leclerc, comte de Buffon (1753), by François-Hubert Drouais, Musée Buffon à Montbard. The French natural historian Georges Louis Leclerc de Buffon thought in a similar manner, proposing in his 1778 ‘Des époques de la nature’ (just recently translated into English!) to recount the great eras of natural history ‘as they are or as they could be: for these two points of view are practically the same.’  He wrote as if he had personally observed the work of nature since the birth of the planet Earth, and the imagined or hypothetical story was to be considered as good as, if not better than, the first-hand experience of observation. My book traces this curious assumption, which can sound quite foreign in the light of modern scientific practice, but which begins to make sense when science is understood as itself a language. The discipline of natural history, in particular, was rigorously redefined by Buffon in the 1750s in terms of the creation of relationships (‘rapports’) between the mind and the world in the form of written expression. Buffon believed that the more the historian studied nature, dedicating time and thought to understanding its order and operation, the more his or her language would come to resemble the world. Nature could be reproduced in words, and soon words could come to stand in the place of nature. The idea of a new, written nature became ever more important to Buffon’s work through the 1760s and 1770s, when he suggested that real nature was losing energy and slowly dying. It needed to be replaced with the human idea of nature. This was no longer simply the story of the past eras of natural history or of the regularity of natural law: it was a vision of a future where the art of human language and the artificiality of human landscapes would become the new natural. Humans gained the ability, right, and obligation to control and change nature because they had appropriated its language. In ‘Des époques de la nature’ Buffon imagined the world devoid of what he thought to be terrifying wild animals, rugged and inhospitable forests, and cold, uninhabitable swamps. Once people could speak like nature, they could possess it and transform it into a temperate garden, a terrestrial Eden. After finishing the final chapter of the book, about the human control of nature and the creation of what Buffon considered to be a ‘better world’ through language, I began to think more about the continued influence of the Enlightenment on modern-day thought. It is crucial to understand eighteenth-century attitudes and theories such as Buffon’s about nature in order to see better the assumptions made in Western societies about the environment and its relationship to people. These are not only assumptions about dominating, taming, and taking control of nature for the good of human survival, industry, science, and culture. There is also the underlying belief that the relationships between humans and the natural world are intrinsically part of a story. They must be made to fit into and justify the arc of an inevitable narrative with a clear beginning, end, structure, and chain of causality linking all parts together (examples of such narratives and how to approach their study are examined in the recent publication Anthropocene Reading, for instance). The language of this story was, for Buffon, a series of keys that would eventually unlock the meaning of the past and the implications or predictions for the future. 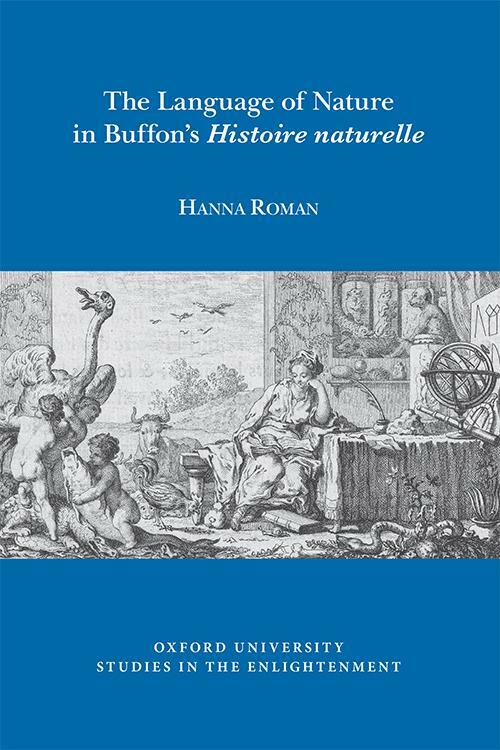 Cover of Hanna Roman, The Language of Nature in Buffon’s ‘Histoire naturelle’, Oxford University Studies in the Enlightenment (Liverpool, Liverpool University Press, 2018). The underlying motifs of Buffon’s story were the slow death of nature as it lost its initial heat and energy, and the opposing, active force of humankind as it worked to hamper this heat death by conquering nature and changing, taming, subduing it. Buffon in fact begged for global warming: he encouraged people to cut down forests, to burn fallow land, to dry up swamps. This idea became part of the narrative of industrialization in Western culture, and it is still present as society considers what it has done to the world and how to mediate the world’s end. Buffon’s narrative is an upsetting one – but it raises the issue of the value of a story, of the necessity of inventing a new narrative of nature to which to aspire, and of the uses, implications, and dangers of fiction in the modern sciences. ‘Quelle différence y auroit-il entre la lecture d’un ouvrage où tous les ressorts de l’univers seroient développés, & l’étude même de l’univers? presqu’aucune.’ Denis Diderot, ‘Encyclopédie,’ Encyclopédie, ou dictionnaire raisonné des sciences, des arts et des métiers, Eds. Denis Diderot and Jean le Rond D’Alembert, ARTFL Encyclopédie Project, Ed. Robert Morrissey (Chicago, n.d.) http://encyclopedie.uchicago.edu/, vol.5, p.641 (my translation). Buffon, ‘Des époques de la nature’, in Histoire naturelle, générale et particulière: supplément, vol.5 (Paris, Imprimerie royale, 1778), p.53. The above post is reblogged from Liverpool University Press. The author Hanna Roman is an Assistant Professor of French at Dickinson College. 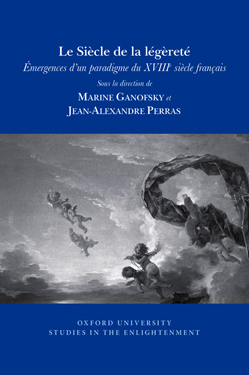 She is interested in the discourses of scientific knowledge in Enlightenment France, and her new research focuses on the languages of theology and natural history in works of eighteenth-century geohistory. Hanna Roman discusses the importance of understanding the link between language and nature in 18th-century France in her book, The Language of Nature in Buffon’s ‘Histoire naturelle’, the latest volume to be published in the Oxford University Studies in the Enlightenment series.